C&W Industrial Roofing is an established limited company that specialises in the refurbishment and repair of a vast range of industrial roof and cladding systems. With many successful years of experience in the industry behind us, we can offer you complete peace of mind with regards to professional quality refurbishments and repairs. Our services include industrial and commercial refurbishment of all types of roofs and cladding systems. 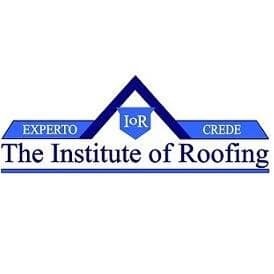 C&W Industrial Roofing are an award winning Nationwide roofing company with over 18 years of domestic and commercial roofing experience across the UK. We have acquired a wealth of knowledge in our specialist field since our establishment, whether it be planning, design or advice on which system best suits your situation, we have the answers and will work closely with you from inception through to completion in achieving key targets, providing a mutually beneficial service and to attain the best possible end result. The company’s foundations were laid by Managing Director Matthew Clarke almost two decades ago. Since then, the company has grown year on year, with a staff base of 30 plus employees. The company continues to grow, and C&W Roofing are continually developing new commercial roofing methods and working on large scale commercial projects alongside our blue chip clients. C&W Roofing take pride in their strict Health and Safety procedures. We are a CHAS approved contractor and have been for many years now. Operations are carried out diligently by highly trained, skilled operatives who are all CSCS accredited. Further training includes, Working at Heights, First Aid, IPAF, Manual Handling, Fire Safety and Asbestos Awareness Level 2. 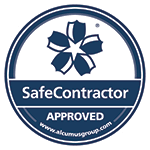 We are an approved company by the confederation of roofing contractors and as such, are checked and vetted on a regular basis , providing reassurance for all of our clients.